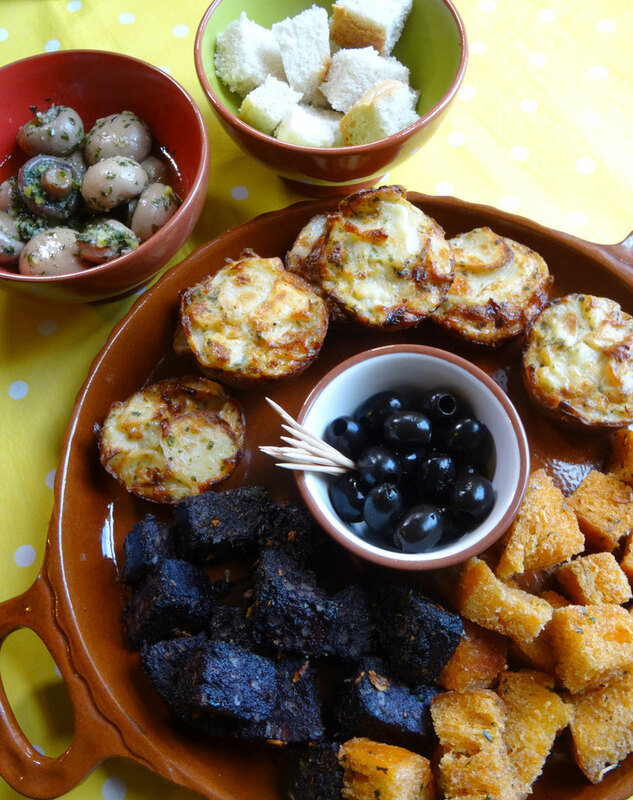 I love Spanish tapas & this is my version of some of the things I have tried in the past again adapted so that even the smallest budget can make a delicious spread!! 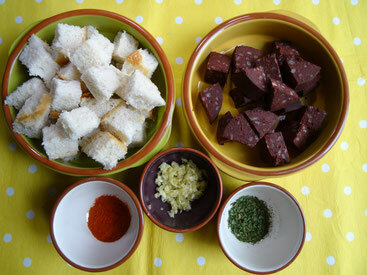 If you don't like black pudding you could use chorizo instead but remember that this is likely to be more expensive. 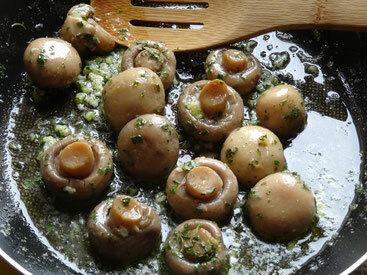 I have used tinned button mushrooms as they are a useful store cupboard ingredient but you can use fresh if you prefer. Pat the potatoes dry with some kitchen paper. Add the potatoes to the oil & cook for 5 minutes. 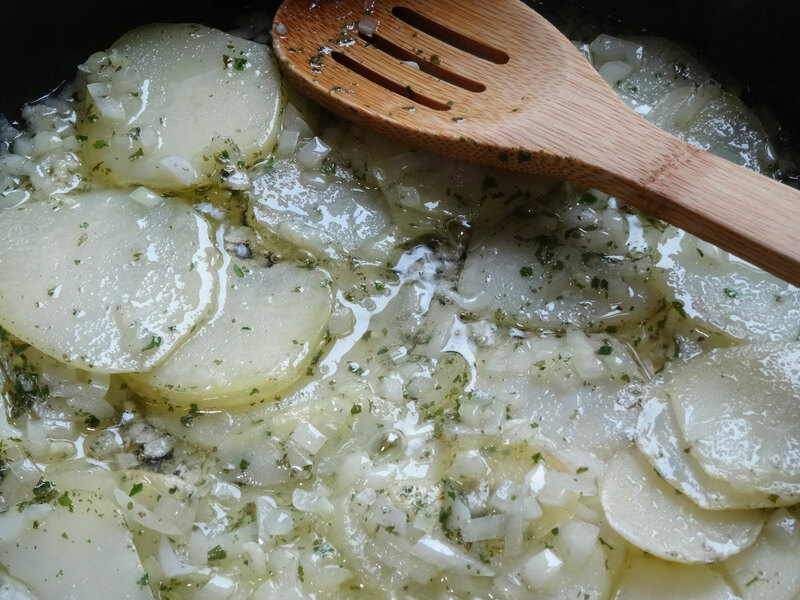 Add the onion & garlic & stir well until the potatoes are tender. 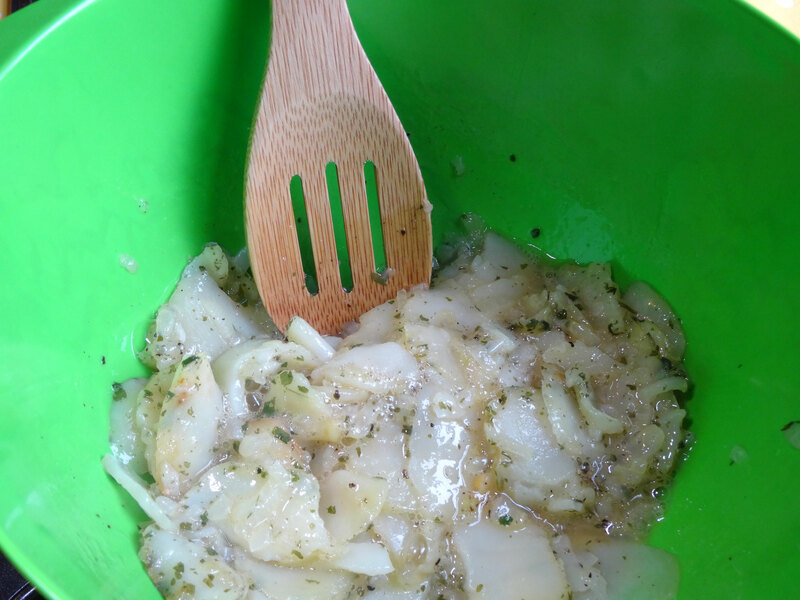 Place a sieve or colander over a large bowl & tip the potato & onion mixture into the colander to drain off the excess oil. Keep the oil for the fried bread & black pudding later!! Pre-heat the oven to 190 Fan/210C/Gas 7 & grease 8 holes of a muffin tin. 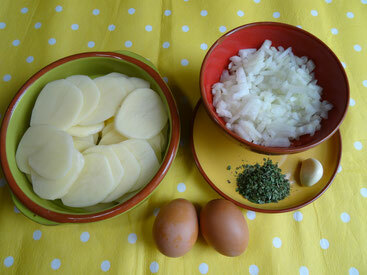 Transfer the potato & onion to a large bowl & add the beaten egg. Mix gently to combine. 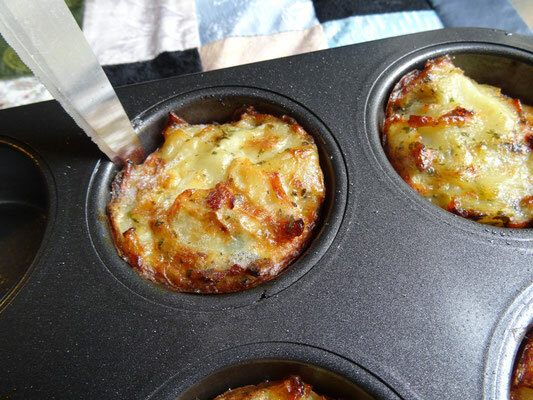 Spoon the mixture into the holes of the muffin tin & press down so that they are well packed. 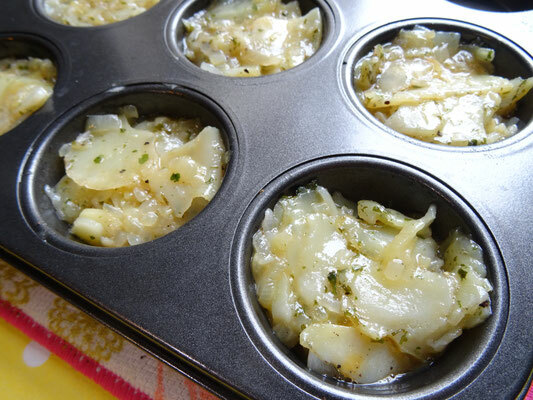 Place in the oven for 20 minutes until golden on top. Once cooked carefully run a sharp knife around the edges to loosen them & turn the tortillas out on to a plate. Melt the butter in a small frying pan over medium heat. Add the mushrooms & garlic & stir. After a minute add the parsly & salt & pepper. Cook until the mushrooms are warmed through (about 5 minutes). 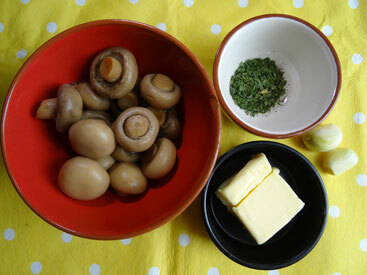 Transfer the mushrooms to a serving bowl & pour over the garlic butter. Heat the oil you reserved from cooking the potatoes in a large frying pan over a medium heat. Add the garlic, parsley & paprika & stir for about 30 seconds. 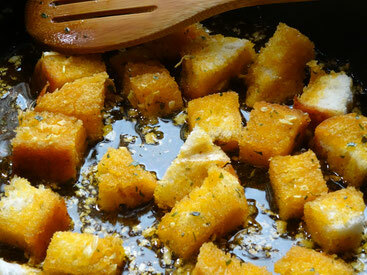 Add the bread cubes & stir to coat with the oil & cook until crispy. Remove from the pan with a slotted spoon & place on some kitchen paper to drain. Tip the black pudding into he pan & cook for about 5 minutes until warmed through. Transfer to a serving bowl along with the fried bread & serve with cocktail sticks.